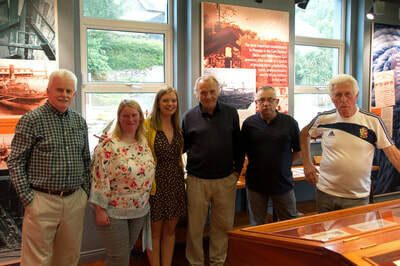 Some recent visitors who enjoyed a tour of the museum by Jim Murphy. Top photo shows members of the Mayfield Men's Shed. Open for business for the new season! 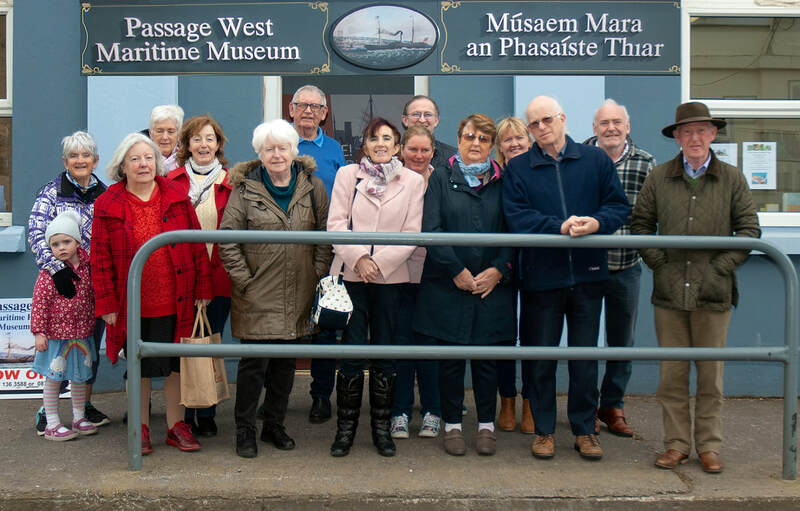 Members of the 'Ring of Cork' tourism umbrella group recently paid a visit to Passage West Maritime Museum where they were given a guided tour by Jim Murphy. Representatives from Cobh Museum, Youghal Clock Gate, Ocean Escapes, An Stor Townhouse, Spike Island, Castlefarm B&B and Print Profile are pictured here along with members of the museum committee. from the Star of the Sea Primary School, Passage West. 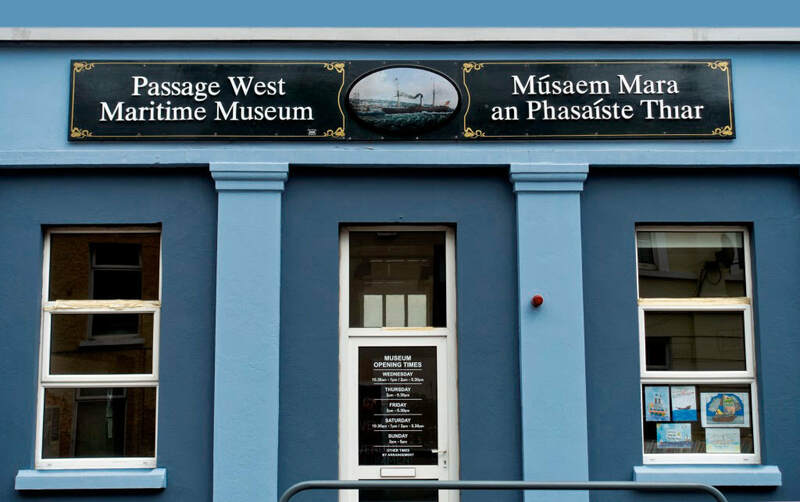 Passage West has a proud maritime history. 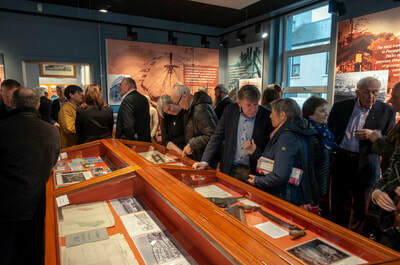 The new museum, located in the old town hall on Main Street, contains a rich and wide-ranging collection of artefacts. 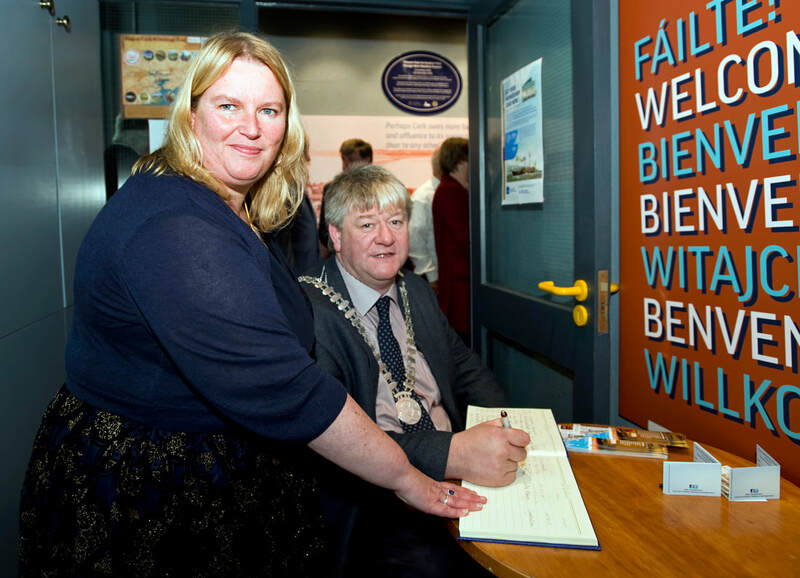 The museum has been funded by Cork County Council and the Department of Community & Rural Development. Ambitious plans are already afoot to ensure that the museum will continue its development in the run up to its reopening to the public in March 2019. Photos by Martin Collins, Joe Healy. 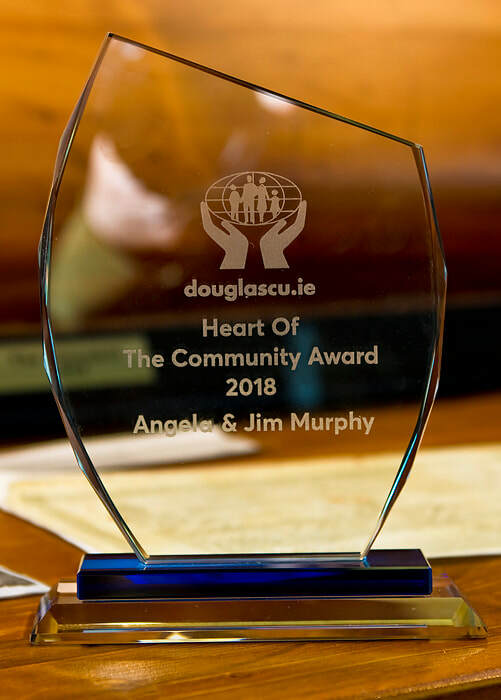 ​Angela and Jim Murphy of Passage West Maritime Museum pictured with The Heart of the Community Award 2018 presented by Douglas/Passage West & Monkstown Credit Union (Pics. Martin Collins). 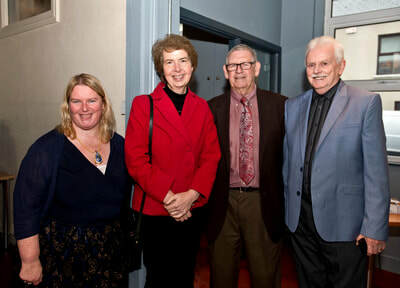 ​at Cork City Hall, October 2018. Celebrating Cork Past Exhibition was established to recognise the importance of our history and the great need for history society’s and organisations throughout Cork City and County to join forces and come together under one roof to showcase their own unique heritage. The goal of the exhibition is to encourage parishes in Cork City and County to establish their own historical societies to promote our unique heritage locally, nationally and internationally. 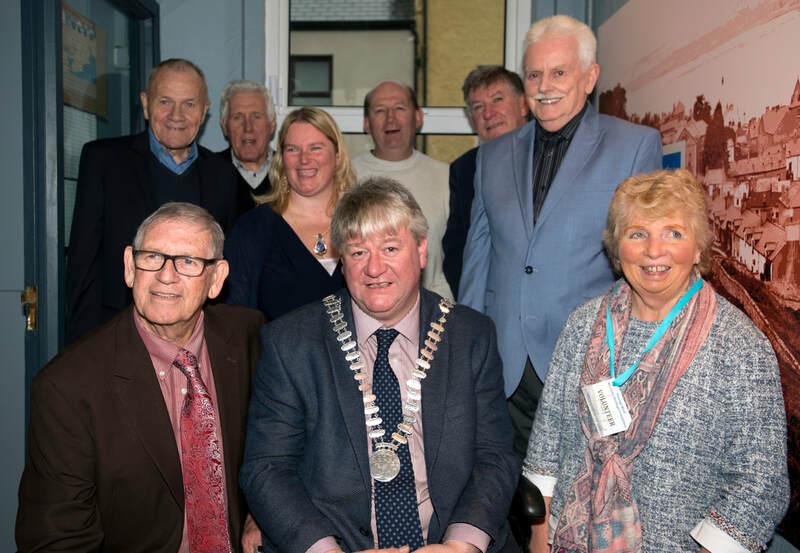 These heritage societies at the grass roots level are the bread and butter of our rich, colourful heritage, tradition and culture. A parish without a past is like a person without a memory. With over 40 Historical societies, museums and heritage organisations from Cork City and County showcasing their unique heritage, what was evident at this year's Celebrating Cork Past Exhibition was the great voluntary endeavour of these passionate heritage ambassadors who are the guardians of our rich inheritance. 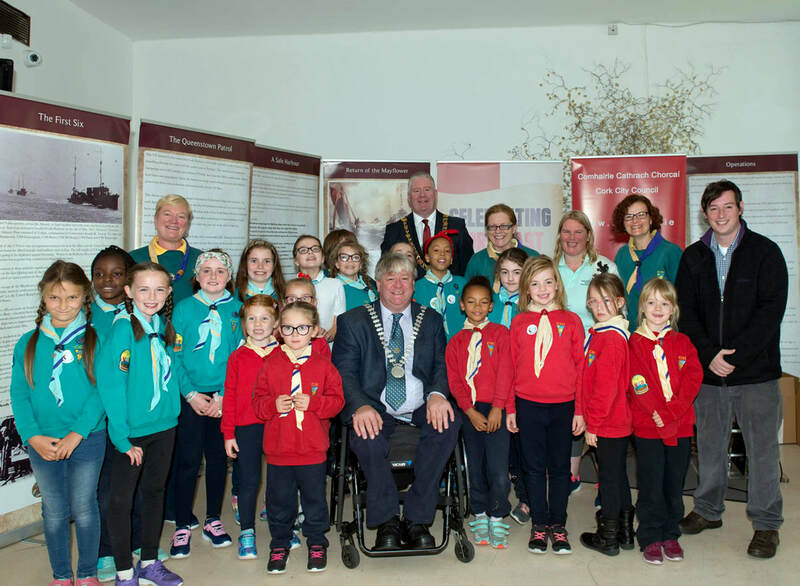 It was clear to see that they are proud and loud of their heritage and we can rest assured that our beautiful Cork City and the picturesque beauty of County Cork is in safe hands as we pass the red and white flag of our heritage, tradition and culture to the next generation. 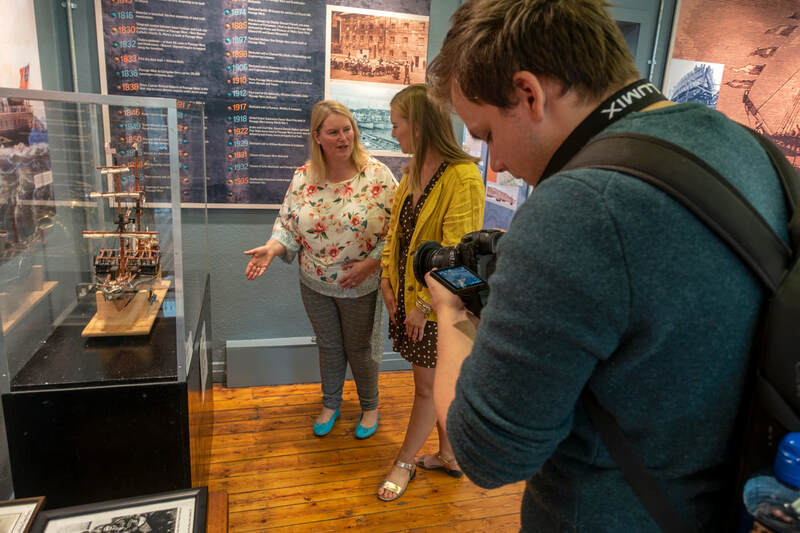 We had a special visit from the team at OntheQT.ie recently when they dropped in to film a promotional video for the 'Ring of Cork' travel series. 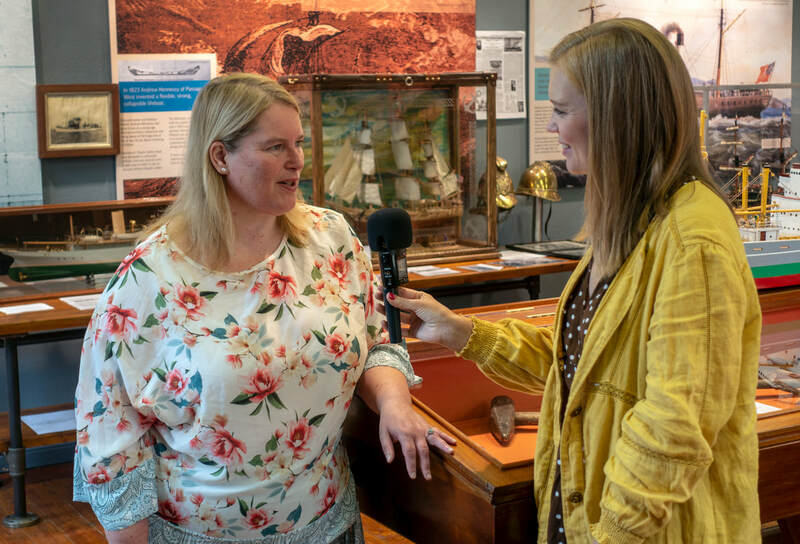 ​Stephanie interviewed our chairperson Angela Murphy about the museum and the rich maritime history and heritage of the area. as steam power replaced traditional sailing. 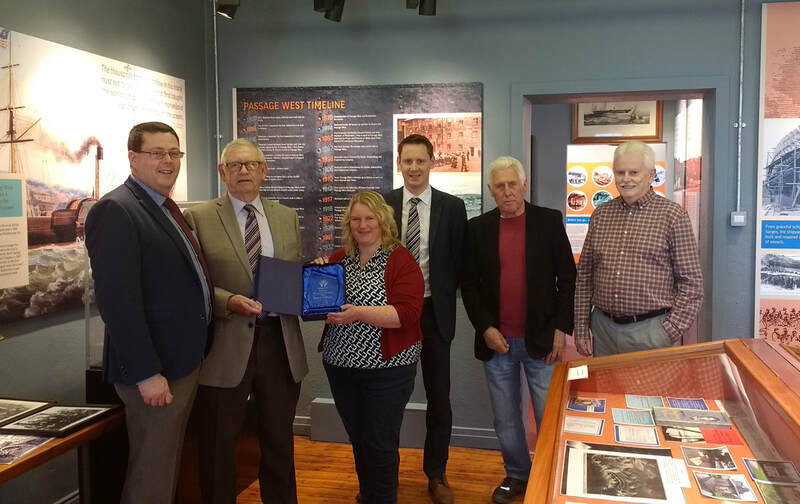 The town of Passage boasts an impressive industrial heritage dating back over 300 years. 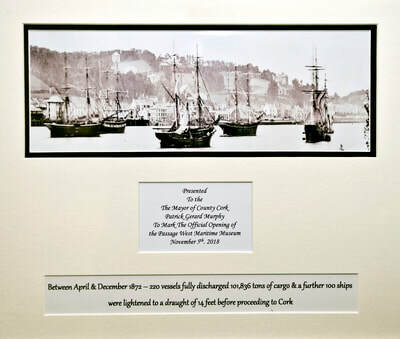 Known as ‘the original port of Cork’ it was the birthplace of the first steamship built in Ireland, “The City of Cork”, which was constructed in 1815 on the site of where the Museum now stands. It was also the port from which the Sirius (above), the first ship to cross the Atlantic entirely under steam, left in 1838 under the command of local man Captain Richard Roberts. 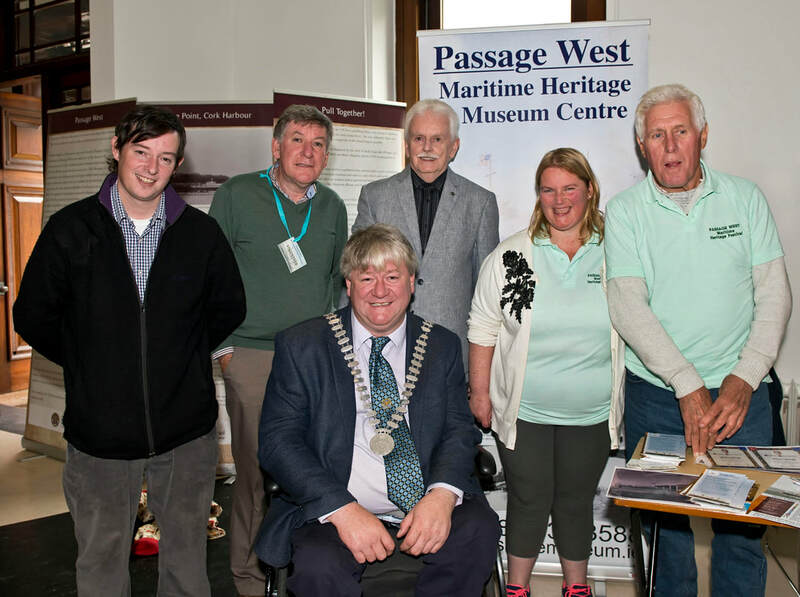 ​And of course, Passage West and its shipbuilding industry is probably best known through its association with the Royal Victoria Dockyard, which provided so much employment to its townspeople throughout the years. 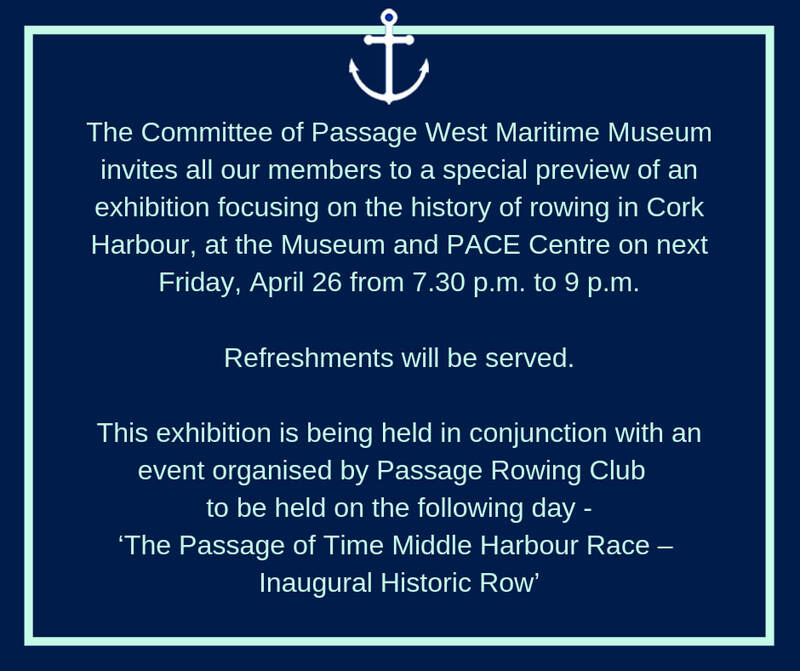 ​Passage West and Rushbrooke Docks were established by Henry Brown and William Craig in 1832. The two dry docks were named the Royal Victoria Dock and Albert Twin Dock respectively. In 1833, the new dry dock received its first ship, the 386-ton Dominica. By the end of 1836, about 20 schooners had been launched at the yard. Ship repair was a major part of the work carried out and by 1850, a total of 183 vessels had been repaired there. In 1849, the owners were given official permission to name their business the Royal Victoria Dockyard. 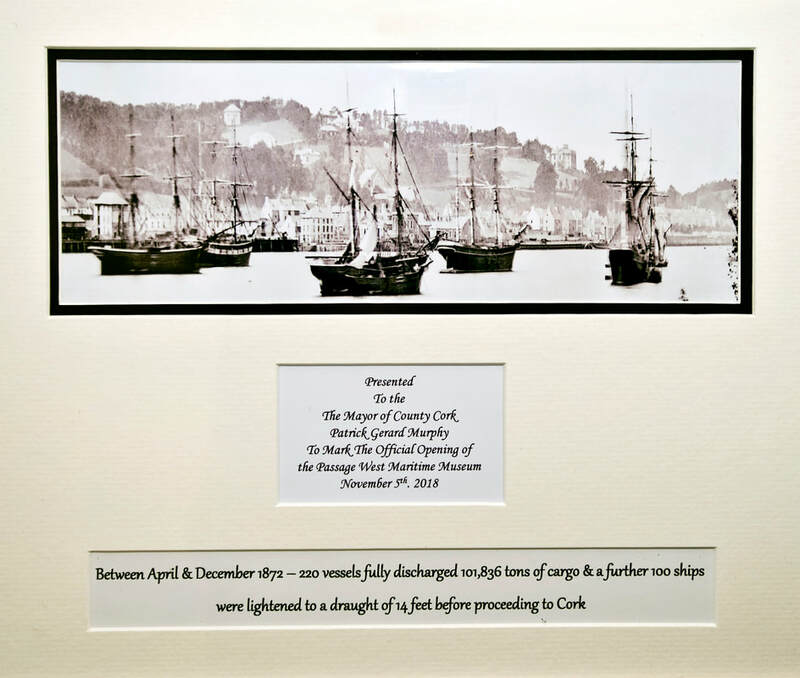 At that time, the dry dock could accommodate six vessels of about 150 tons each and ships repaired had included the largest steamers belonging to both Cork and Dublin companies. By the mid-1850s there were over 300 workers in employment at the dockyard. They were renowned for producing the highest quality work. By 1864 the total river frontage had been extended to over 600 metres. In 1872, the Royal Victoria Dockyard was purchased by a syndicate who formed the Cork Harbour Docks and Warehouse Company. 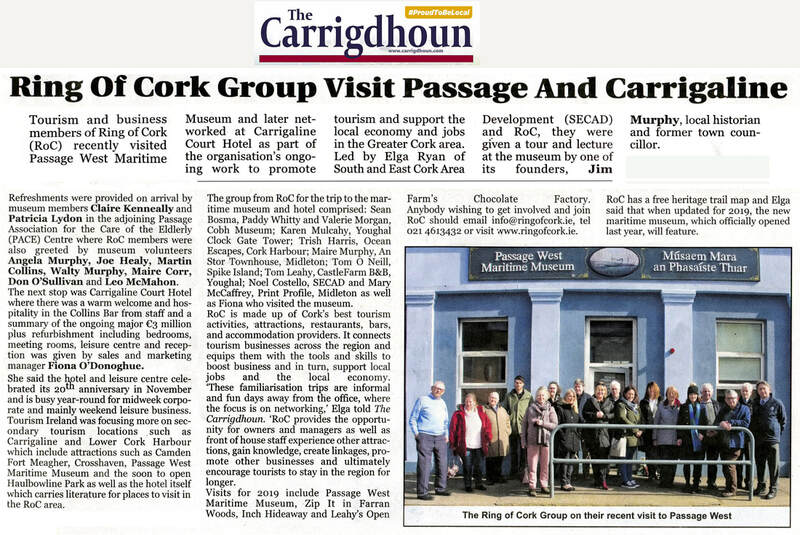 A four-storey high granary was constructed for the storage of up to 8,000 tons of grain, then Cork’s principal import. By April 1874, 32 cottages had been built to serve the dockyard, whose workforce now exceeded 700. Although the company concentrated on repair work, a number of small vessels were built in the early 1870s. Towards the end that decade, a shipping depression began to affect Passage and work became scarce. 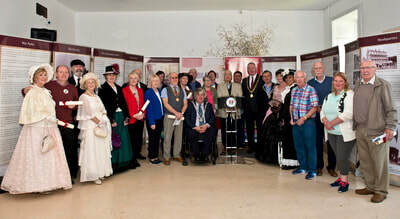 The Docks Company lost money in successive years and in 1881, the property passed into the hands of entrepreneur Sir John Arnott, from whom it was again subsequently purchased by the Channel Dry Docks Shipbuilding and Engineering Co, Ltd, in 1898. The launch of the dockyard’s first iron vessel had taken place in March 1882 . Named the Dingadee, it was built for the Australian Steam Navigation Company. A sister vessel, the Hesketh, was launched three months later. The late 1880s and 1890s were a turbulent period at the dockyard. Long spells of idleness were broken by periods of intensive activity, interspersed by outbreaks of industrial unrest. Between 1898 and 1911 the dockyard underwent three changes of ownership. 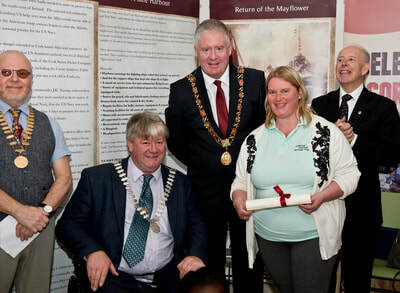 The third of these owners established a sawmill, which gave employment to about 60 workers. However, within a couple of years, this part of the business was destroyed by fire. 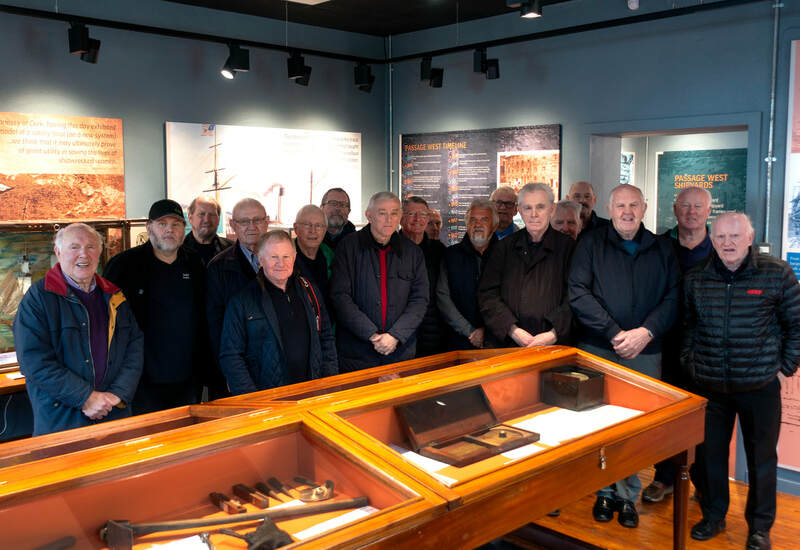 ​Throughout the First World War, the dockyard was booming with up to 1,000 workers employed there, many building whalers and other small boats for the Admiralty. In 1917 the docks complex was purchased by shipping magnate Messrs Furness, Withy & Co Ltd. Equipment was modernised and new cranes were installed. 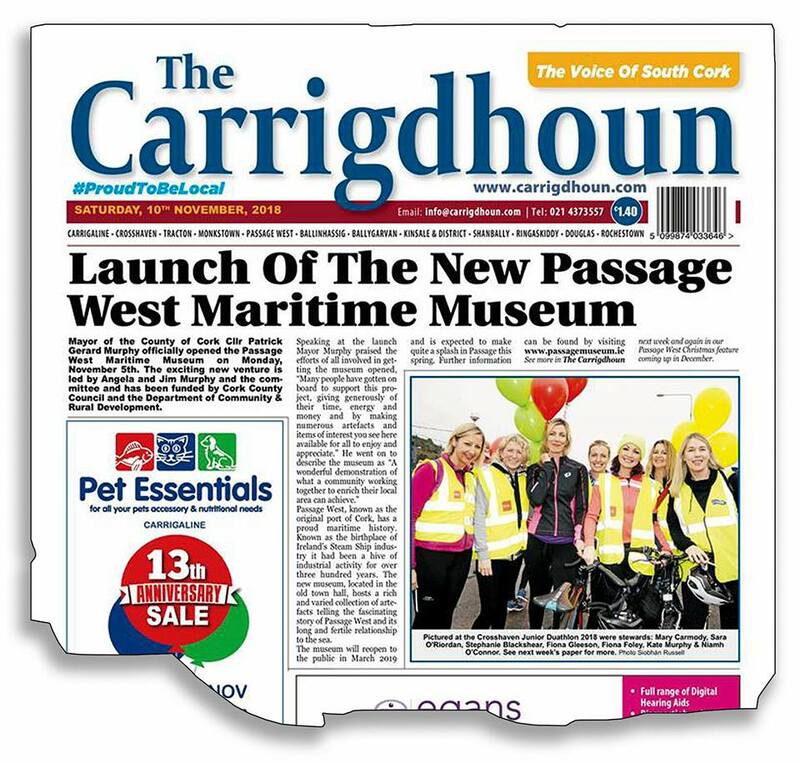 New dock offices were constructed and were said to have been the first concrete block structure in Passage. By the end of that year, some 800 workers were employed there. 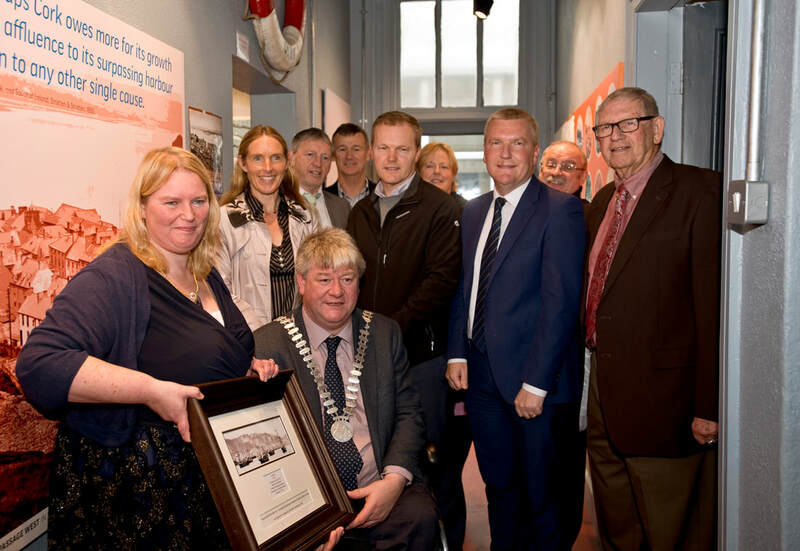 In 1919, the new 98-metre-long Albert dry dock was opened. It was capable of accommodating vessels of up to 98 metres in length and 5.5 metres draught. A new pumping system was also introduced. However, none of this investment proved profitable and before the end of the 1930s, the concern was again sold. In 1931, the plant and equipment were auctioned off. 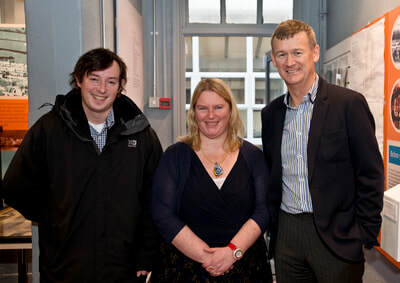 From then until recently, the Royal Victoria Dockyard premises were owned by Haulbowline Industries Ltd. The quays were used for discharging and loading cargoes, while the company also built up a large scrap metal handling business. In 1983, the company filled in the former Albert dry dock and two large warehouses were built on the adjacent site. The large granary at Ferry Point, which had gradually fallen into disrepair, was demolished. At the end of 2006, the Royal Victoria Dockyard was purchased by developers Howard Holdings for €25m. 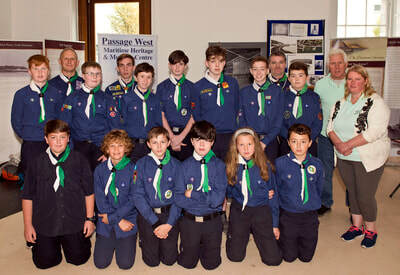 They had proposed to open up the centre of Passage West with a mix of retail, commercial and residential properties. 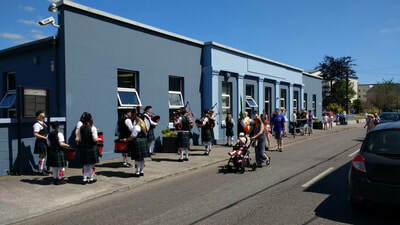 However, these plans never came to fruition and the site was subsequently sold to the Doyle Shipping Group for €2.75m. 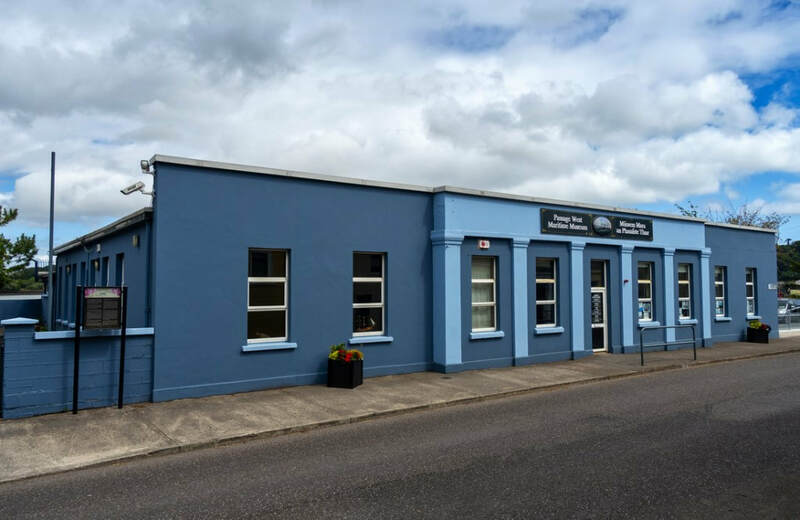 More recently It has been utilised as a steel scrapyard and the eight-acre site is currently being offered on the open market for around €3.5m. 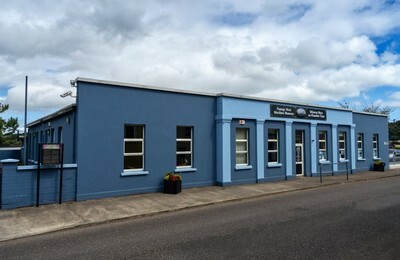 Passage West, Co. Cork, Ireland, is an old Irish town with a great maritime heritage amongst its forebears and the majority of the riverside lower lands run alongside the River Lee stretching from Rochestown to downstream Monkstown. The former 19th century Passage West to Cork railway line took its passengers on daily trips that presented wonderful scenic views of Cork harbour throughtout the entire journey. Alongside the railway line as it approached the town of Passage was the farmland owned by Captain Roberts (of Sirius fame) father. 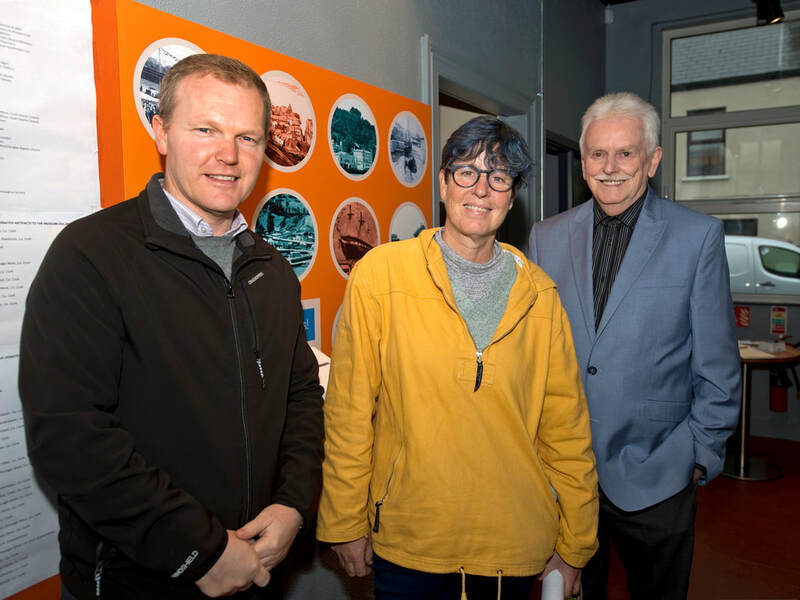 As a seafaring town many of the locals earned their living from the sea as fishermen, whilst the town at one time hosted three boat building yards. The locality also reared many young boys who took up their working lives with the British Merchant Navy and sailed around the globe. 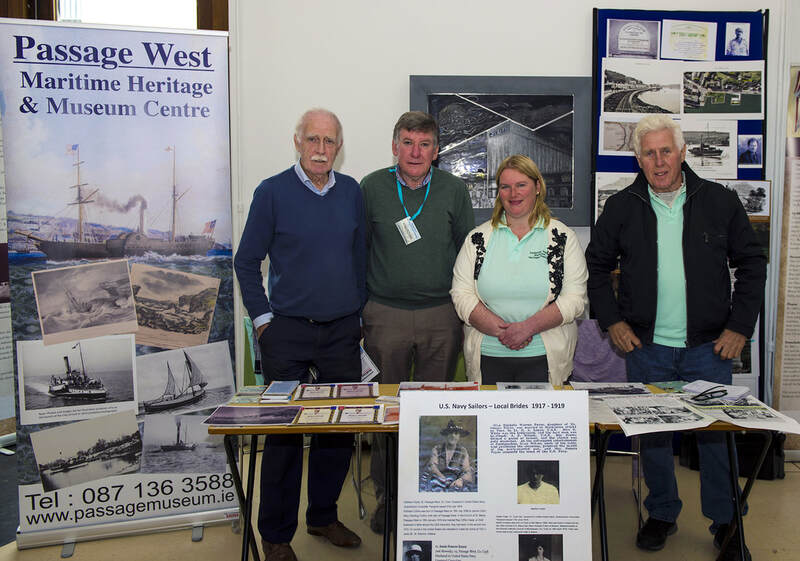 One Passage West seafaring man with an anglo Irish ancestry was Richard Roberts, a farmer's son born at Ardmore in 1803. 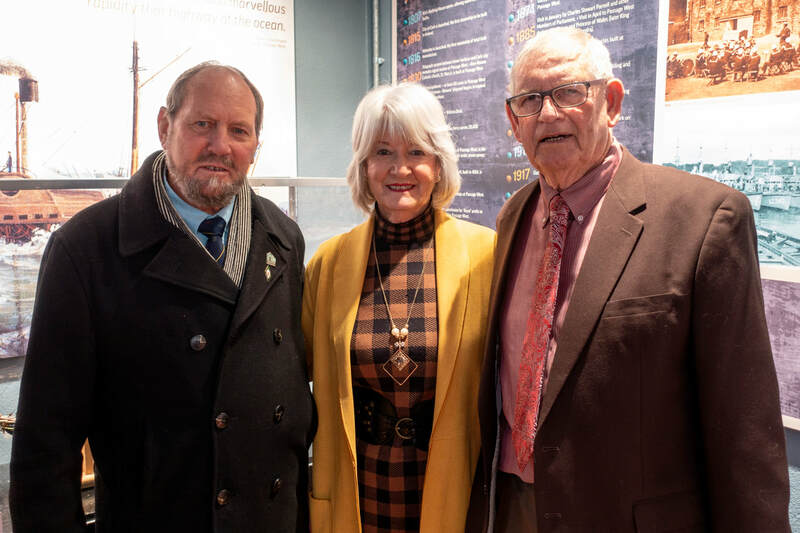 From his family home he could look out on the river every day and when he graduated to his teenage years he joined the British Royal Navy.This was the beginning of a career at sea, a career that would claim his young life at just thirty seven years old. However before his fatal sea disaster, Richard Roberts had written himself into seafaring history as the very first captain of a steamer to cross the Atlantic Ocean. That famous ship was the SS Sirius. 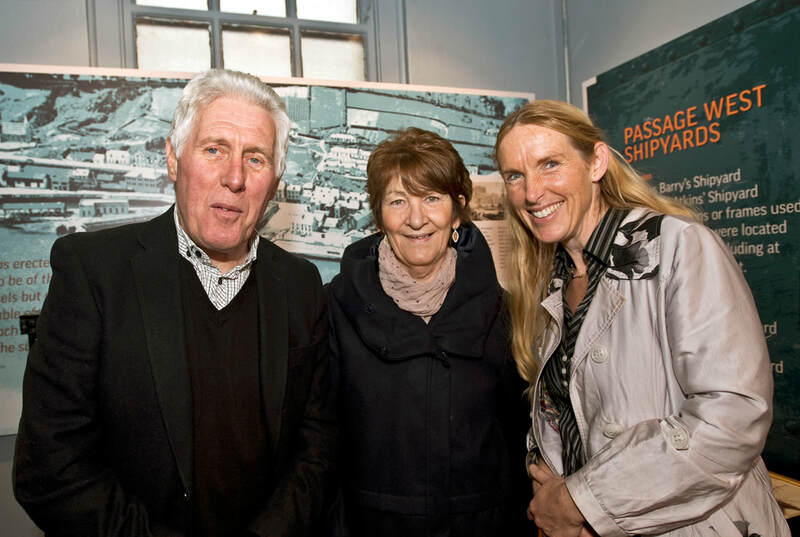 That was also the ship that enabled Captain Richard Roberts to be inducted into the All Ireland Hall Of Fame Online Gallery in 2017. The story of Captain Roberts and The Sirius are interwoven in history. Both made international seafaring history. Roberts entered the British Royal Navy in his youth and served there until he gained the rank of Lieutenant and was then given command of the SS Sirius. As captain of the Sirius, Roberts guided the first steamship to travel across the Atlantic to America, in April 1838. 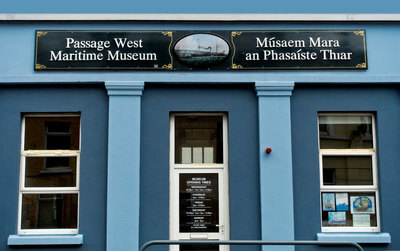 After the successful and historic voyage he was transferred to the SS President which was lost at sea in March 1841. Roberts is presumed to have gone down with the ship. 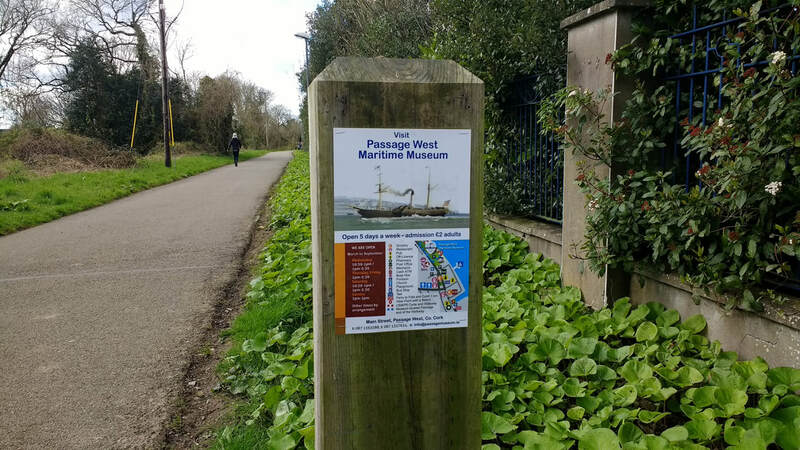 The SS Sirius, constructed at Leith, Edinburgh, Scotland, first came to Cork in 1837 when she was purchased by the St. George Steam Packet Company for the then princely sum of £27,000. Considered a big and powerful ship by the standards of the day, the two cylinder engines had been built on the Clyde by J. Wingate & Co. of Glasgow. The gross tonnage of 703 made the Sirius a sturdy little ship. Built of timber with carvel construction, she had one deck and two masts. Her length from the inner part of the main stern to the fore part of the stern post aloft, was certified as being 178 feet 4/10ths. Her breadth midships was similarly certified as 25 ft 8/10ths and her depth mid-ships as 18ft 3/10ths. The Sirius was a schooner-rigged with a standing bowsprit and carried square sails on the mast forward of her tall narrow funnel. Her stern was square, while a dog image decorated her bow. This dog image was noted as a fine work of art. The Sirius was to leave on 28th March, 1838, calling to Cork enroute on 2nd April and to sail from there to America. The Great Western was to leave London on 7th April but to sail directly to New York. In preparation for the trip The Sirius was given some modifications for the voyage with increased bunkerage for coal and the paddle boxes were changed, from square to round in outline. The historic sea journey of the Sirius started from Passage West, (formerly the official port of Cork in the 19th century) on 4th April at 10.30 a.m. in company with the SS Ocean, another splendid steamer of the St. George Steam Packet Company. The Sirius was quite crowded for the trip. Some came aboard in London, others in Cork. She had a total of 40 passengers comprising 5 ladies and 6 men in the first cabin, 5 ladies and 3 men in the second and 1 lady and 20 men in steerage. First class, the first cabin, cost 35 guineas including provisions and wine. Second class fare was twenty guineas and a berth in steerage for the commoners cost eight guineas. The Sirius was loaded with stout from the Beamish & Crawford brewery in Cork City, as well as other food delicacies. She was also loaded with as much extra coal as she could mount. Just a mere eighteen days after leaving Passage West, the Sirius arrived in New York on 22nd April 1838. She had steamed 2,897 nautical miles at an average of 161 nautical miles per day. By now the Sirius had used up all her coal stock and the engine revolutions had run at 15 per minute all through the voyage. Running eighteen hours behind The Sirius on the afternoon of 23rd April, the 1,340 ton Great Western steamed into New York. 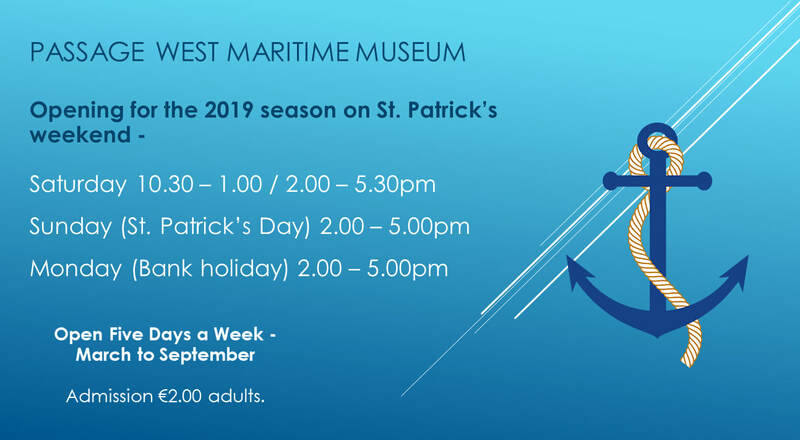 However the little SS Sirius had outshone The Great Western to the New York finishing post and Passage West born, Captain Roberts, had masterminded his own slice of Irish history. 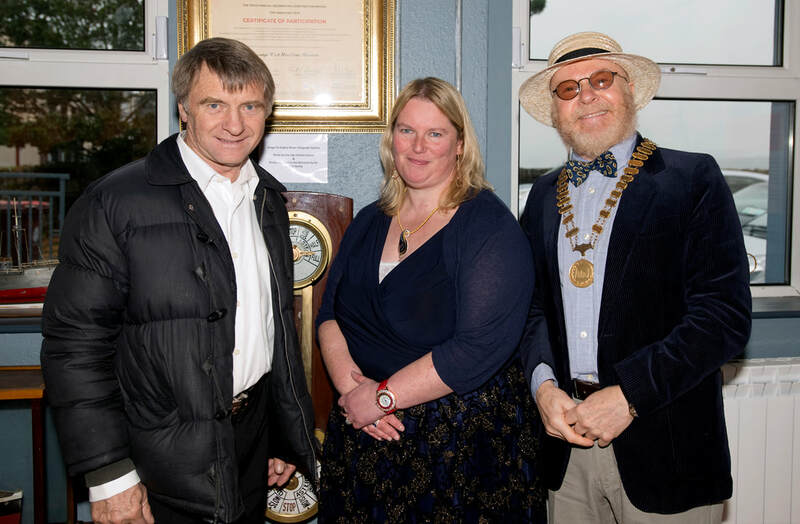 In recognition of the Captain Roberts achievement, he was subsequently presented with the Freedom of Cork and also London and later the people of Passage West presented him with a silver salver. The Sirius made a second trip to New York under Captain Stephen S. Moyle. Tragically she was lost at Ware Cove, near Ballycotton, Co. Cork, on 16th January 1847. Captain Richard Roberts and all his crew were also lost when the steamer, SS President, went down while on a return voyage from New York in March 1841. In 1844 a cenotaph was erected to the memory of Captain Roberts in the grounds of the Marmullane Church Of Ireland cemetery, Passage West, Co. Cork. ​The Museum’s collection extends across a range of categories such as maritime history, shipbuilding and ship repair, emigration, the US naval presence in Cork Harbour and of course the stories of the generations of seamen associated with the town. 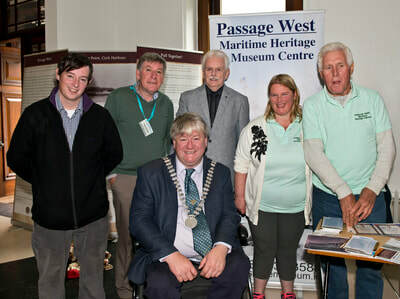 While the focus of the Museum is centered upon the story of Passage West and its relationship to the sea, future exhibitions will feature other aspects of local history such the Cork Blackrock & Passage Railway, folklife, fishing, rowing, social and political history and noted personalities from the locality.